Here at Aqua Science, we want to pass on the savings to you whenever we can. We have a selection of Closeouts, Open Box and Scratch & Dent items ready for shipping or local pick up. The list is always changing so be sure to check back or follow us on Facebook for updates. As always, our Customer Service Team is here to answer any questions. Please call 1-800-767-8731 if you require assistance. 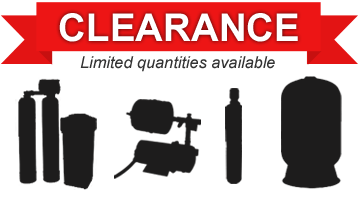 There are currently no items in our Closeouts, Open Box, Scratch & Dent section. Please check back again soon!